The whole thing will take you half an hour from start to finish and, if you want to make it an hour or so in advance, the pork will sit happily in the sauce without drying out. Wrap the slices of parma ham around the pork fillets and season with salt and pepper. 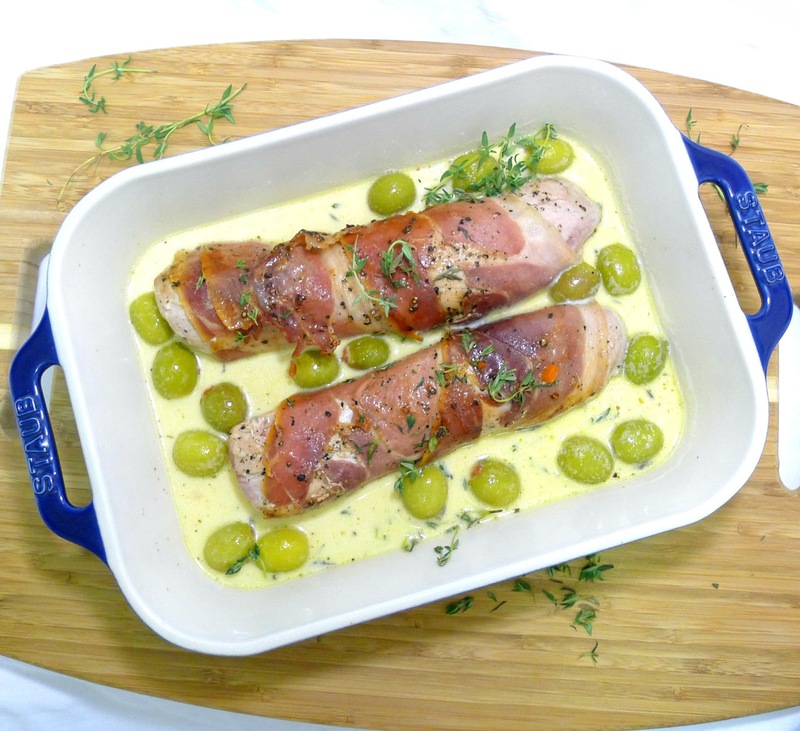 Put the fillets into a casserole dish with the olives and a few sprigs of thyme. Mix together cream and stock and pout over the fillets. Season with a little salt and pepper and cover. Bake in the oven for 15-20 minutes* (mine only took 15), take out and allow to rest for 5 minutes before serving in thick slices with mash and spoonfuls of the creamy sauce. *To check if the pork is cooked through; gently press the fillet all over with your index finger - it should feel the same all over, but if the centre is softer than the sides then it needs a few more minutes in the oven. This recipe sounds delicious I can't wait to try it out. I love finding recipes that use olives!